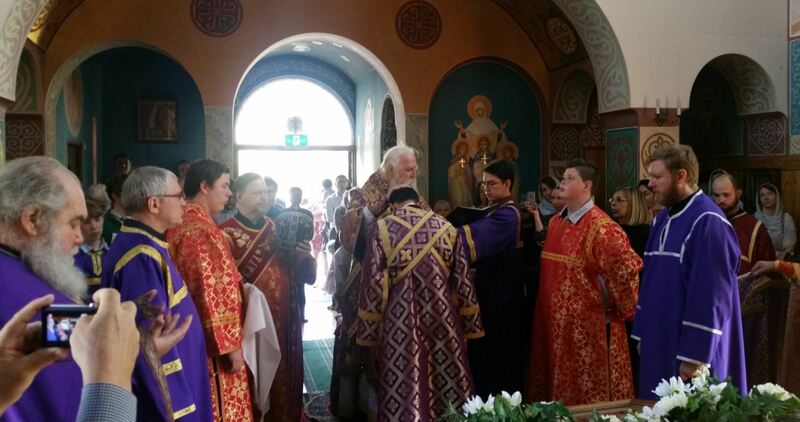 On 18 March 2018, the 4th Sunday of Great Lent, an unusually warm autumn day for the nation’s capital, His Grace Bishop George of Canberra celebrated the divine services at St John the Baptist Cathedral Canberra. 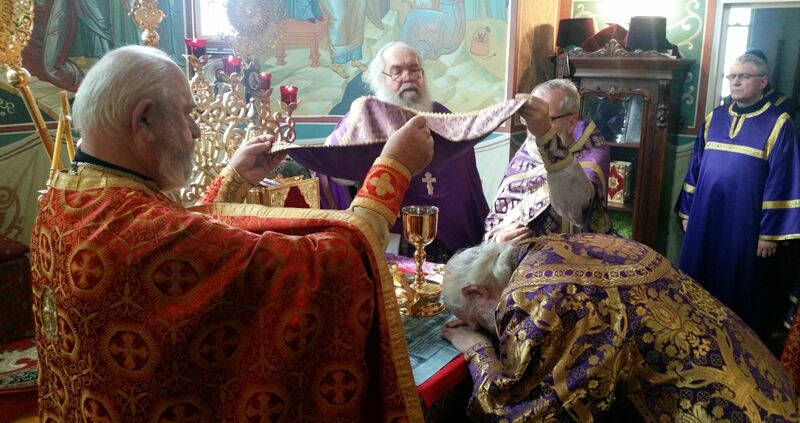 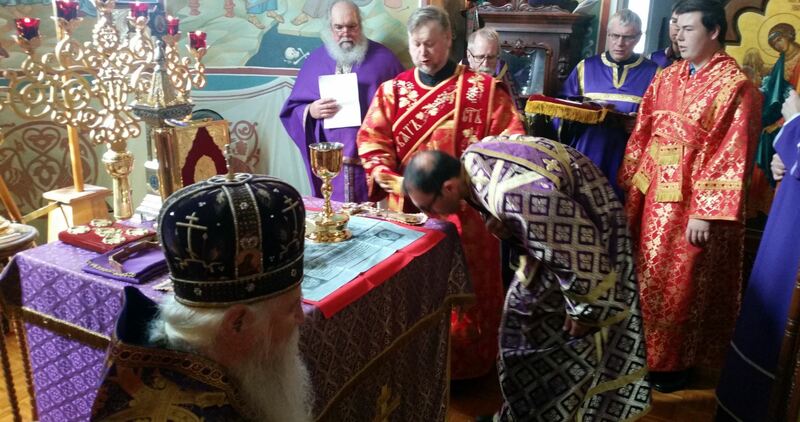 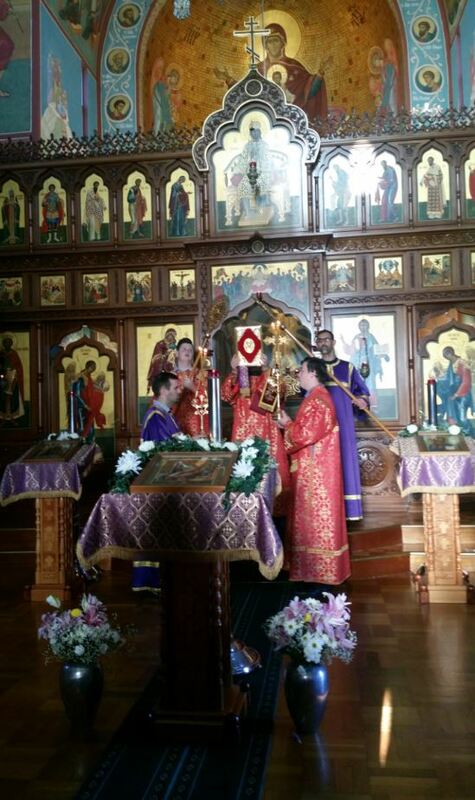 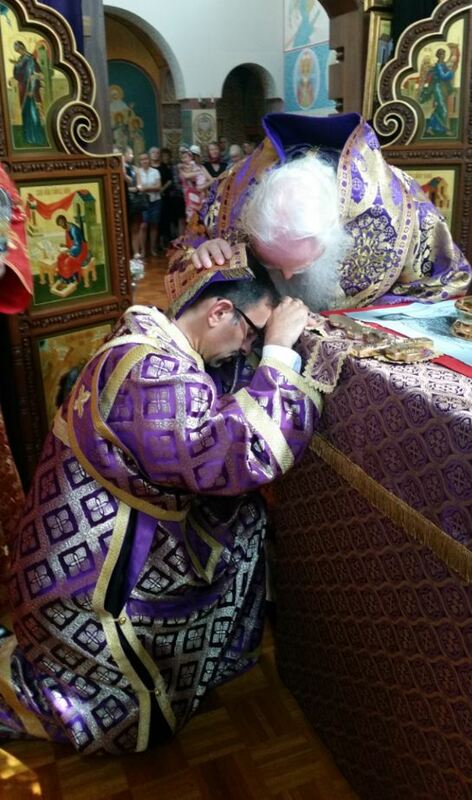 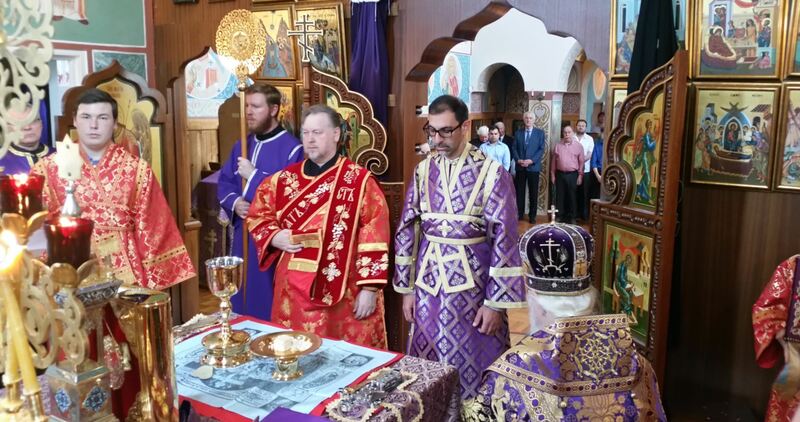 This was a special day as Bishop George tonsured and ordained a new generation of clerics to serve at the St. John the Baptist Cathedral and the St. John of Shanghai and San Francisco Mission in Gunning respectively. 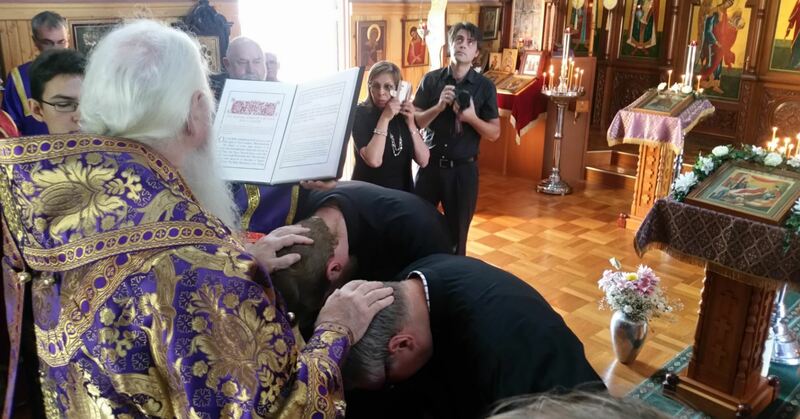 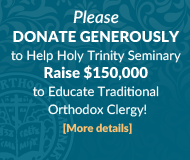 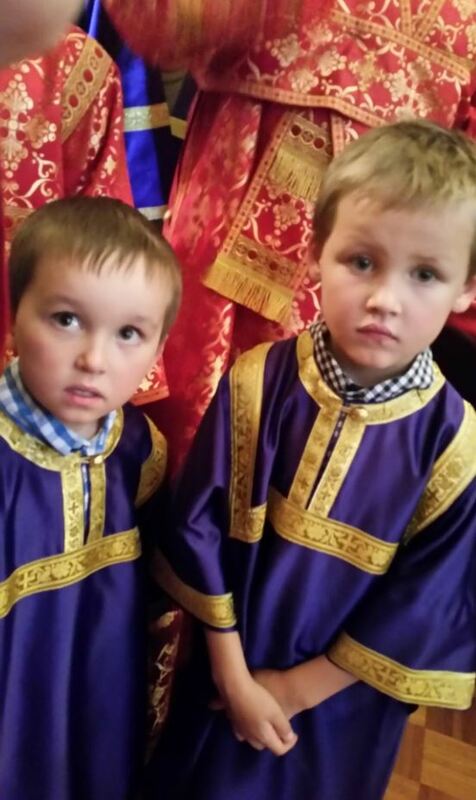 During the reading of the hours, Andrew Dobson and Sergei Sheh were tonsured into readers. 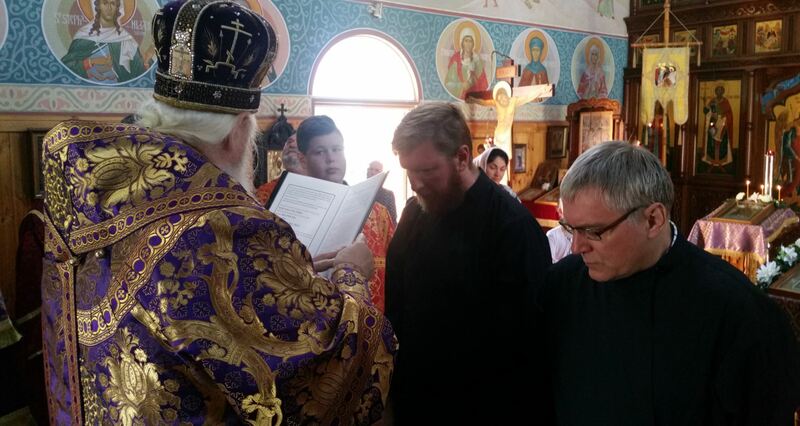 Reader Stephen David was ordained into a subdeacon then following the Eucharistic canon subdeacon Stephen was ordained into the diaconate. 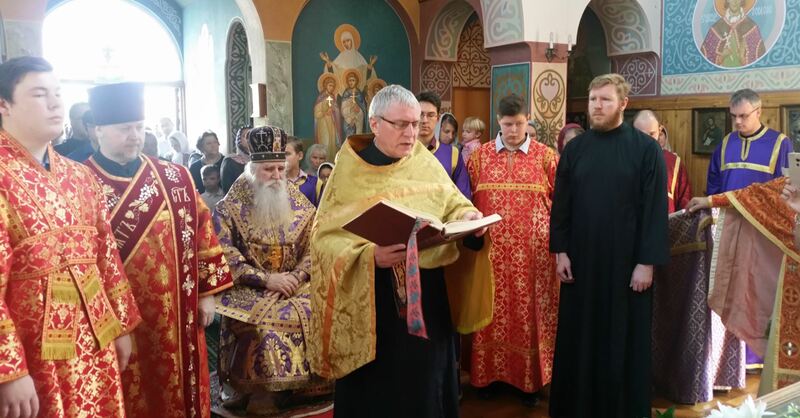 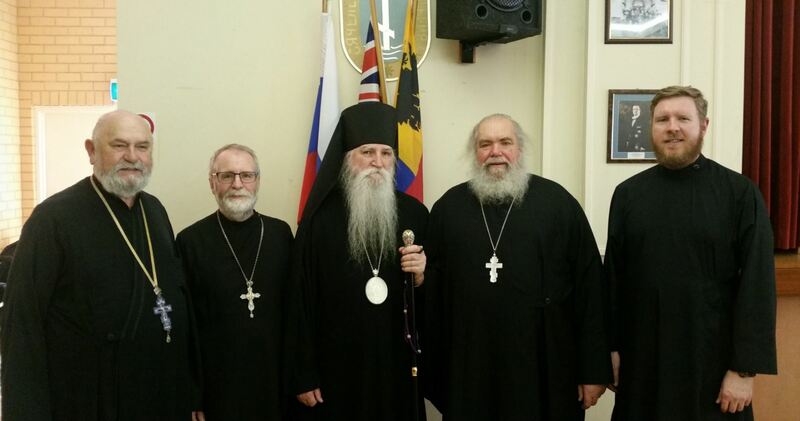 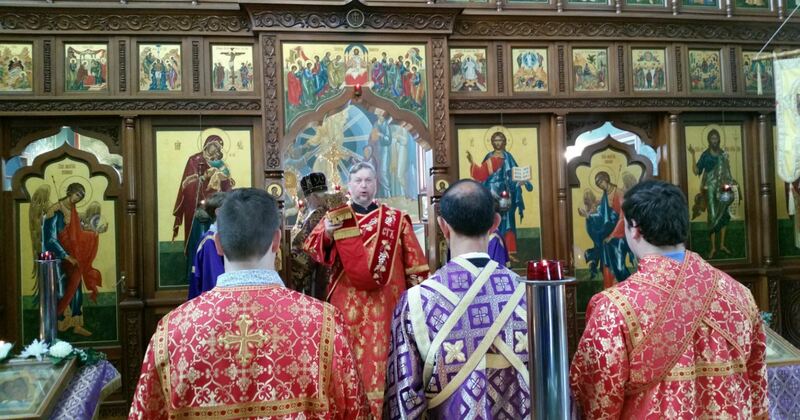 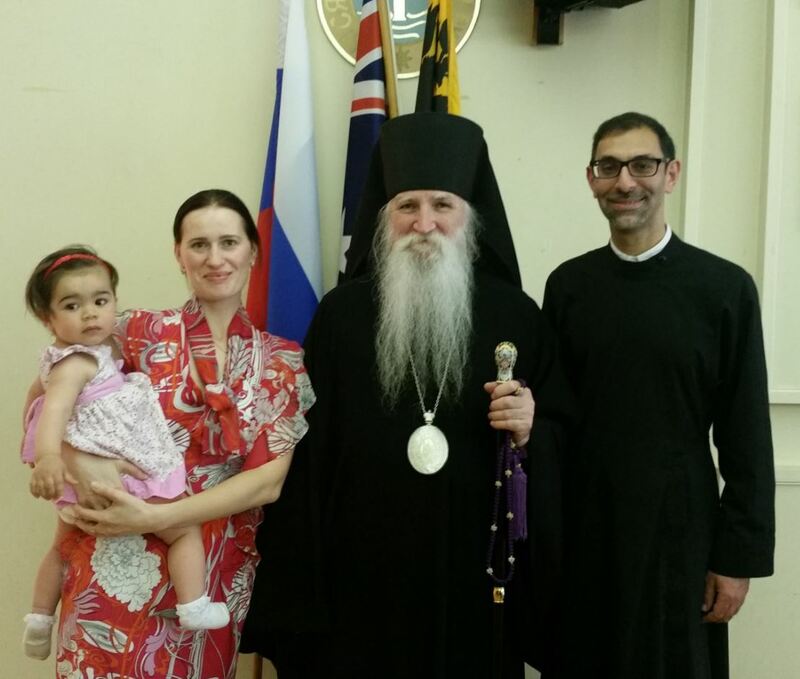 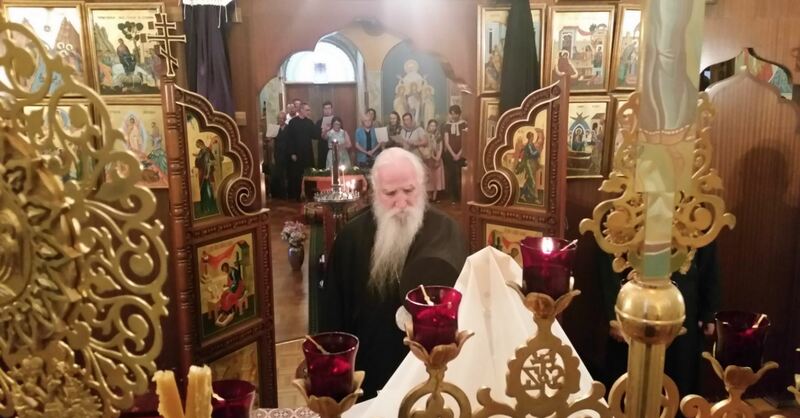 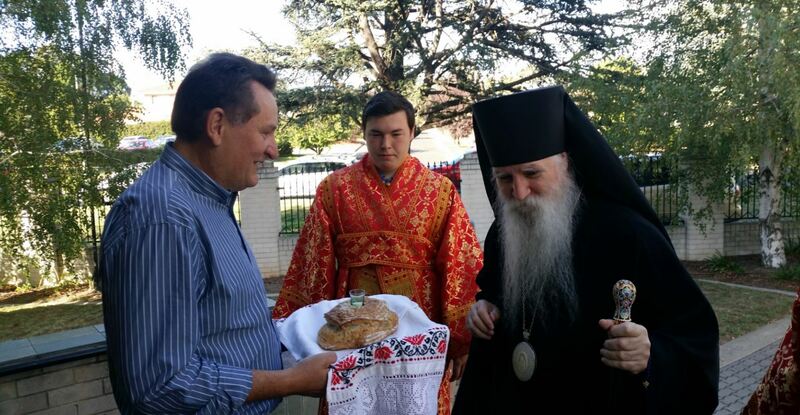 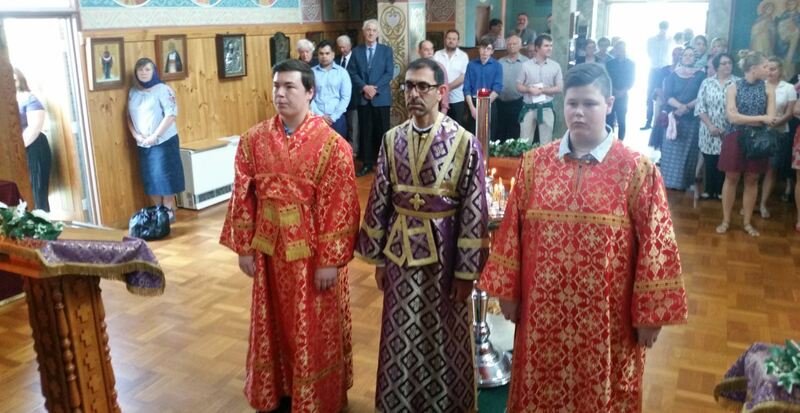 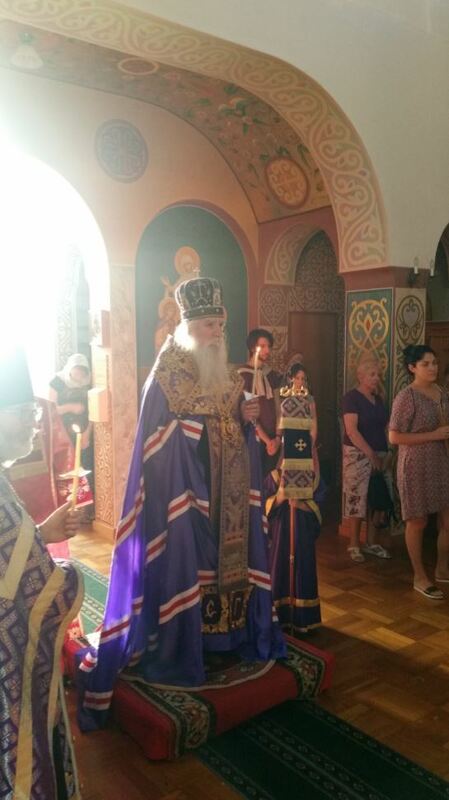 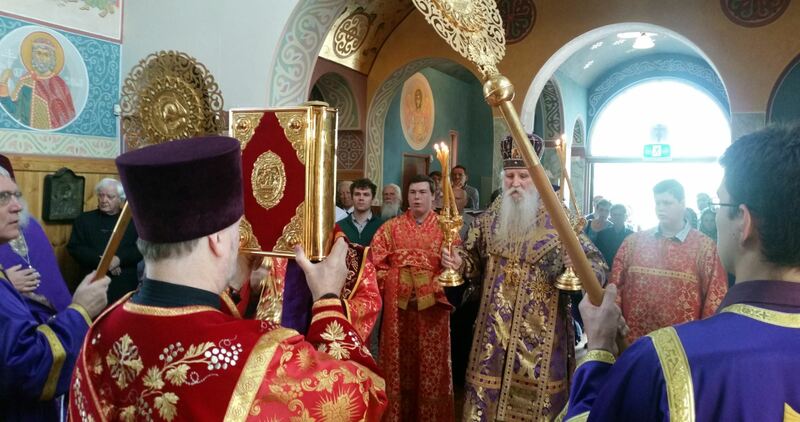 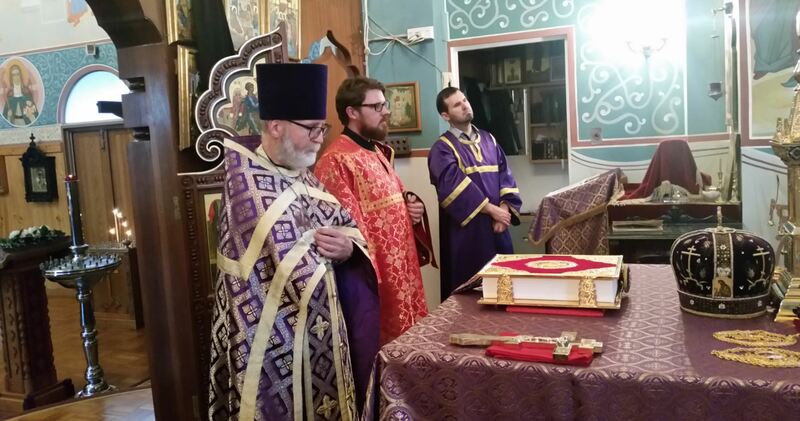 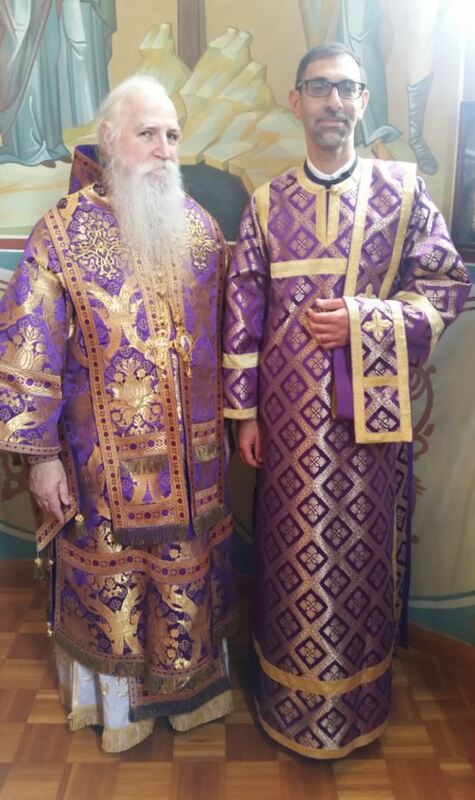 The occasion was made even more special with not only the attendance of Archpriest Alexander Morozow the dean of the Cathedral and also the attendance of Archpriest Ilya Dragosavljevic from the Serbian Orthodox Church, priest Seraphim Slade from St John of Shanghai Indigenous Australian Mission Gunning, Protodeacon Alexander Kotlaroff and Deacon Michael Storozhev clerics of Saints Peter and Paul Cathedral, Strathfield who made the trip from Sydney especially for the occasion. 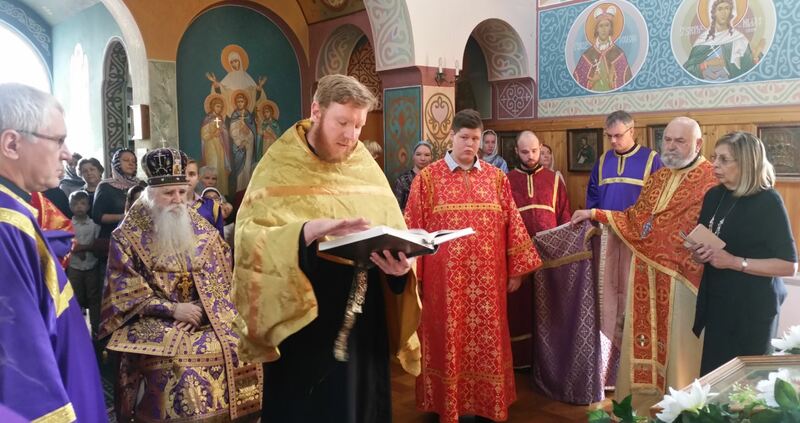 During lunch, the newly ordained Deacon Stephen gave thanks to Bishop George of Canberra, the clergy, interstate guests (some of whom flew in from Brisbane), the altar boys that helped with the episcopal liturgy and also the head sister Irene Ovchinnikov, who organised the celebratory lunch.